I'm an upholder of Justice and Fairness! First of all advance Merry Christmas and a Happy New Year Survivors! 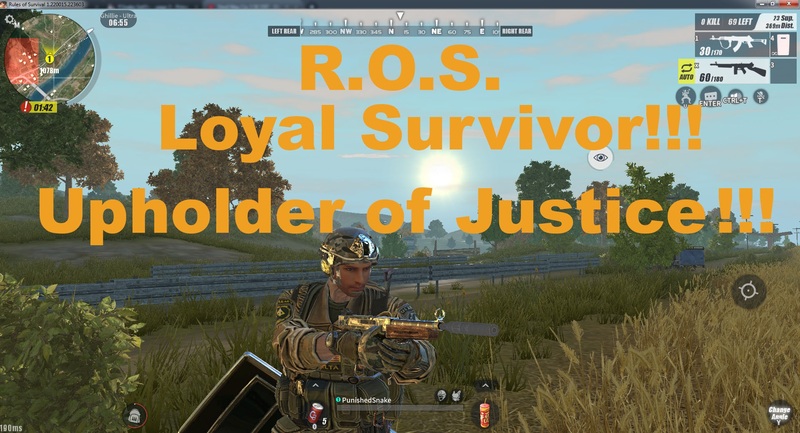 Throughout my adventures in ROS it has been nothing but fun and excitement, sure there are sometimes cheaters but here is where why I deserve a gift this coming ROS Christmas Wish. I always report cheaters in game, I always spectate them and when I confirm that they are cheating I always ban them, I do it to keep the game fair and alert the developers. When I first heard of the forums and its exciting contest I immediately joined some of the contest, the contest provides all the players a chance to win some diamonds and that is super awesome. But I noticed that some of the entries are from cheaters, plagiarizers, bot account users, etc., then when the time came for the ROS Thanksgiving event to announce the winners, I saw an entry that I reported earlier for stolen art from the internet. The Elite Survivor and Mod praised me and then immediately removed said entry. I felt happy and content that I was able to stop a cheater from winning and most of all I kept the community fair. I may not be an Elite Survivor but I'm hoping to be one, all that matters is that JUSTICE WAS SERVED! I did an oopsies lol. This was supposed to be the screenshots lel. Well gudluck to you dude!